In years gone by, only the elite would be able to start their own business. As long as you had a sound budget and a family history of business owners, a business is something that was achievable. Sadly, this left ordinary folk out of the loop but this has now changed and doesn’t look close to returning to the ‘old days’. Why? Mainly, the internet and technology have enabled us to start a new venture from the comfort of our own homes. With affiliate marketing and the like, anyone can succeed if they have passion, determination, and are willing to work harder than everyone else within the same niche. However, you can’t just jump in and hope for the best. No, you need support and people are now finding this with a plethora of online programs. At the same time, people are also finding scams that take money without helping and this is what we’re helping you to avoid. 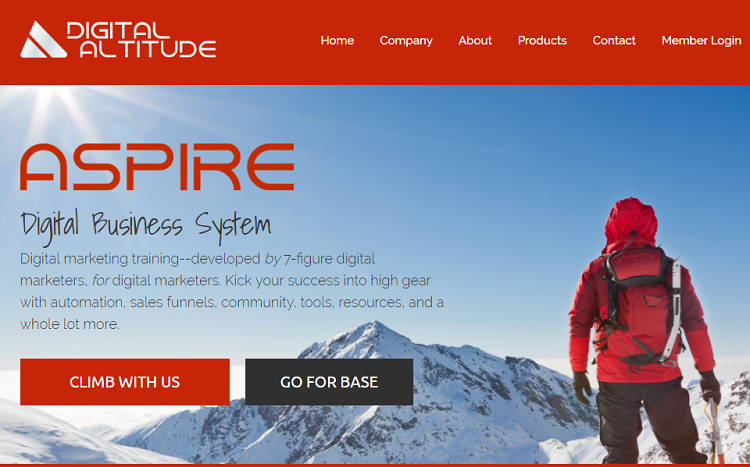 Today, the focus is on one question and one question only; ‘Is Aspire Digital Altitude a Scam?’. Before we can answer this question with any type of detail, we need to know exactly what the site does and what it’s promising internet users. With this in mind, we should state it’s a direct selling model for all those looking to make money from home (or anywhere in the world). 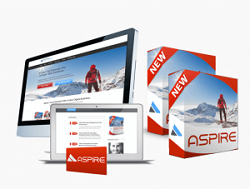 While other programs allow you to start a website on your favorite topic and make money through affiliate programs, Aspire Digital Altitude is a site that allows users to make money by advertising their own program. When people buy through your advertising, you’ll receive a commission in return. In this regard, it’s very similar to The Super Affiliate Network. This being said, there are some key differences with one of the biggest being the sheer number of packages on offer. As the entry level for this particular program, there are actually three smaller membership options within this level; Walker, Hiker, and Climber. With all three of these levels, you’ll receive coaching, networking, social media assistance, sales automation, training videos, payroll services, commission, sales funnels, live chat, and more. In terms of the three levels, Walker is the most basic for $37 a month and provides one-tier payout, beginner videos, and 40% commission. With Hiker, the price is $67 per month and it leads to monthly conference calls, beginner videos, three-tiers of payout, 60% commission, sales funnels, and more. Finally, the $127 per month Climber option brings much of the same with increased access to the members’ area and training. From here, we progress to the second membership option which costs just under $600 and this starts to cover setting up your website, creating goals for your business, and getting into the position where you can start to earn money. Ultimately, they have three sections available for Base membership; Prepare, Launch, and Grow. In total, 12 modules make up this section and the information contained within can be found in the best business schools around the world. Is Aspire Digital Altitude a scam? With these membership options (and more to come), you can probably see that Aspire Digital Altitude isn’t a scam and this is important to get out of the way early because we now have an option just short of $2,000. This time, it boasts five sections – Commit, Customer, Create, Words, and Partners – made up of 19 different modules. As you progress through the membership options, the training goes into more detail, you learn information your competitors probably won’t have, and this should help you to succeed. Available for $9,997, this level contains a live workshop held over three days in Las Vegas. Led by the Founder, Michael Force, and the team he’s built since starting the company, you can learn from some of the most influential people in the business and industry. Depending on your budget and success to this point, you may or may not decide this is for you. During the three days, you’ll learn strategies for scaling traffic, increasing conversions by using analytics, creating solid content, building a team, and more. As we continue up the membership levels, we find ‘Peak’ and one costing $16,997; this is a five-day event and is very much an upgraded ‘Ascend’ membership. Since you can invite a guest, the price is actually for two people and Michael Force (and his team) will lead you through lessons such as scaling your online business, creating powerful presentations, building relationships with clients, preparing a legal entity, and mastering your accounting. Finally, we reach the top of the mountain and a membership valued at $27,997. Created for those who have seen extensive success since starting, this seven-day retreat teaches how to manage money. With this in mind, many of the speakers are qualified investors or coaches. For the topics, they include building a retirement income, long-term wealth strategies, and investing in the right way. If you’re just starting out, it’s fair to say you won’t be needing this membership just yet. As you can see, the membership options are extensive and this leads to one of the biggest issues of Aspire Digital Altitude; the upselling. With so many different packages and all targeting a different audience, a significant amount of the focus will be on upselling and try to get people to move up the ladder to a program (or retreat) that’s worth nearly $30,000. Even if we remove this outlandish and hard-to-reach goal, the next tier down is still worth $17,000. Sometimes, upselling can be acceptable if there’s one or two and when the products are affordable. With the high-ticket items pricing many people out of consideration immediately, it can be hard to make money; even when people do tend to make money, they feel slightly uncomfortable leading people to pay these fees when they’re overpriced. As we’ve seen, the program is a multi-level marketing organization and this is likely to put off several readers within seconds. Is Aspire Digital Altitude a scam? No, and we can see this through the compensation plan currently in place. Since you’re actually selling memberships, the idea is to not only convince people to buy the product but to have them remain a member for as long as possible. Aspire – 40-60% commission; between $17-$41 PPPM (per person per month). 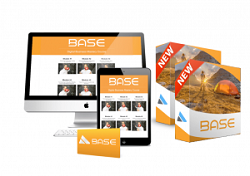 Base – 60% commission over three tiers; $240 per sale (reduced if you require help from a coach). 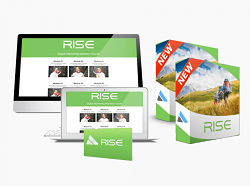 Rise – 60% commission over three tiers; $1,200 per sale (40% if the coach closes on your behalf). 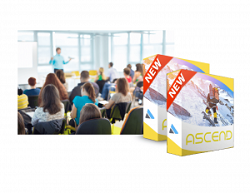 Ascend – 40-60% depending on your choice; $6,000 per sale. Peak – 40-60% or you can choose $10,200 across the three tiers. Apex – 60% across three tiers; $16,800 per sale. As you can see, the commission is very rewarding as you reach the higher levels. For those within the Apex range, they can make just two sales per year and make over $33,000 which perhaps shows the power of high-ticket items. However, you need to be good at what you do because you still need to sell a product worth $28,000 in order to earn this money. Considering you could buy a very good car for this amount and you could even live off this money for a year quite comfortably, it can be a tricky program if you’re looking for quick success. Also, we should note that you can only sell memberships up to the level you’re currently sitting at which means you won’t be able to sell the Apex level unless you reach the Apex level. Sadly, this cuts down your market and limits your earning potential even more. To access the higher membership levels, you need to be seeing success and earning a good amount of money so you’ll certainly have to put the hours in if you have any chance of a career. Is Aspire Digital Altitude a scam? No, and this is the first benefit to the platform. 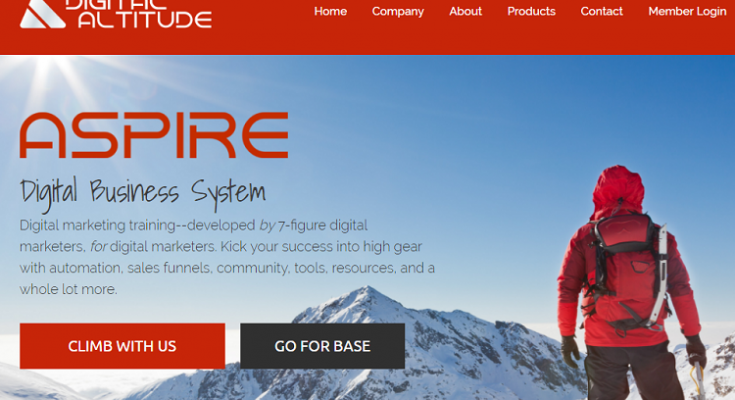 In a world full of scam artists and people solely out there to ruin the days of others, we can confidently say that Aspire Digital Altitude is not a scam and that there are people currently earning money every day. With supreme coaches who have many years of experience within the industry, you can genuinely learn a significant amount from the help. With some of the coaches, they’ve seen the industry come from nothing to where it is now which is a huge advantage. By being involved in the niche, they know MLM inside-out and will be ready to help whenever you need assistance. With the community, you also have people are who happy to help your business despite, essentially, being a competitor. Although you’re all fighting for sales in a limited market, the community is a positive one and the owner should be praised for this. With Force’s continued involvement in the business and even his appearances in live webinars, he has created a positive and vibrant platform for all to enjoy. Unfortunately, there are one too many drawbacks for us to be able to recommend this program to you. As you’ve seen in recent weeks, we want you to succeed because there are opportunities in this world for everyone. However, the prices of the products are considered too high for most, you can’t start a website talking about your passion and selling related products, and there are no guarantees you’ll make any money whatsoever. Don’t get us wrong, there will be some who can start a business with Aspire Digital Altitude and make money. We are not against high ticket offers and if this is where your focus is, check out our review of Elite Marketing Pro as one of the better programs where you don’t have to invest any crazy amount like 30k as with Aspire. 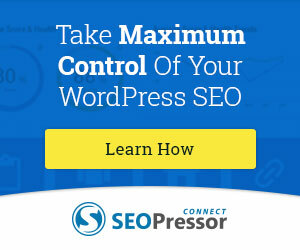 Our interest, however, is in providing you with the best opportunities across the affiliate marketing universe. With so many other options to choose from, you’ll find programs that allow you to write about a passion while earning a respectable commission package and these businesses certainly make it easier to get out of bed in the morning. With the question of ‘is Aspire Digital Altitude a scam?’ now answered, you should have everything you need to decide. If you’re currently considering which platform to try first, we recommend casting your net a little wider and reading some of our other reviews. Once you’ve assessed a handful, you can then proceed with the one that grabs your attention! I hope you enjoyed this review and if you have any questions about Aspire Digital Altitude or want to leave your own personal review, leave a comment below. 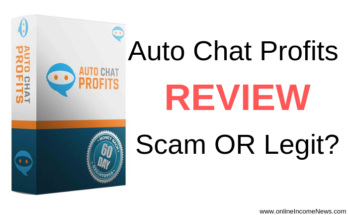 Previous Article Is The Super Affiliate Network A Scam? Even though it is not a scam but this program like you stated above only someone that born rich or they inherited a small family fortune, it doesn’t make sense at all with the “ransom” membership fee across the tiers. Whatever affiliate program we have today sure to attract those that have a very little capital capacity to start any business of their own. Is this program reach the target, the popularity or good membership signing up, Moni? For me Aspire, even though it is not a scam, is just out of reach for most people. To earn any substantial income you need to invest in the high levels and most people just don’t have $30,000 sitting around and of course even if you did you would still need to have more money for advertising. 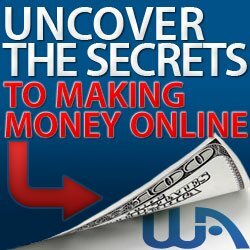 In my opinion the program that is completely transparent and anyone who is prepared to put in the effort has a very high chance of making a full time income online is Wealthy Affiliate. I have seen video’s of Robert Kiyosaki recommending people use network (multi level) marketing companies as ways to learn how the art of marketing online. Is he scamming us too? I have never subscribe to or spend much time looking into any of these MLM marketing platforms but I know people who have successfully. There is something a different about them that I don’t yet understand. My original reaction was just pyramid selling but the more I ask the people on the inside the more they talk about the transferable business and marketing skills. Hi Remy.. thank you for dropping by and taking the time to comment. I would NOT call ALL MLM companies scams. Only the ones that have no real product to offer and whose main focus is purely on recruitment and not on retail sales to consumers. MLM or Networking Marketing in theory is a great business model however too many companies are using it to set up a scam operation. They have no real products to sell to retail customers so they put the focus on recruiting. The biggest negative for me is the fact that you don’t own your own business. 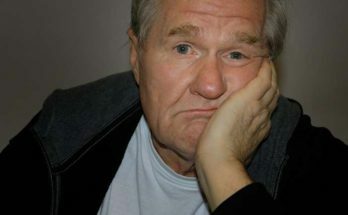 If the MLM company decides to change the payment plan or goes out of business your business also ends with it and this could be due to no fault of yours. I have seen and experienced this personally! The other thing is that MOST people (I would say at least 95% of people) don’t make any real money to be proud of. Just look at the average distributor incomes for MLM companies and you will see this to be a fact. If you are thinking of starting with a MLM company my advise would be to go with a company that has a minimum 3 year track record, has a good product that customers will want at the price being sold, the compensation plan is rewarding AND check the average incomes earned by distributors in the last year. If all this is good and you are happy with it then please give yourself 3-5 years to build a MLM business and be prepared to lots of rejection along the way. Please be VERY THOROUGH with your due diligence and don’t just trust what you are being told as some distributors tend to exaggerate the truth! In my opion there are easier ways to generate an income by building an online business that YOU OWN and YOU CONTROL. Read the review of what I highly recommend to all my friends and family who want to LEARN and EARN on the internet from the comfort of their own home from anywhere on the internet worldwide.